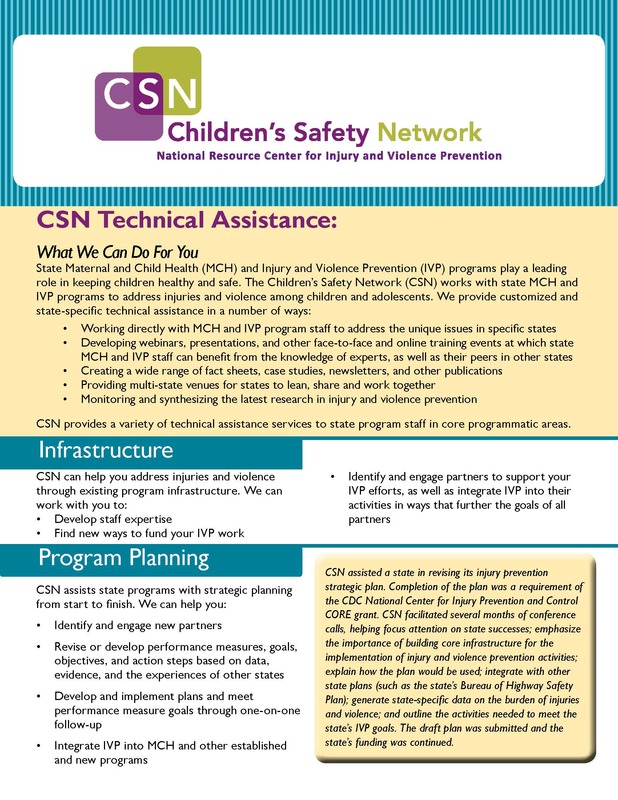 CSN offers technical assistance to state and jurisdiction health departments to increase their capacity to address childhood injuries and violence. We provide technical assistance on a wide range of injury prevention topics and in a variety of capacity building areas. We are available for consultation by telephone and email and, in some situations, are available for presentations at meetings and conferences. Here are a few ways we can help you. 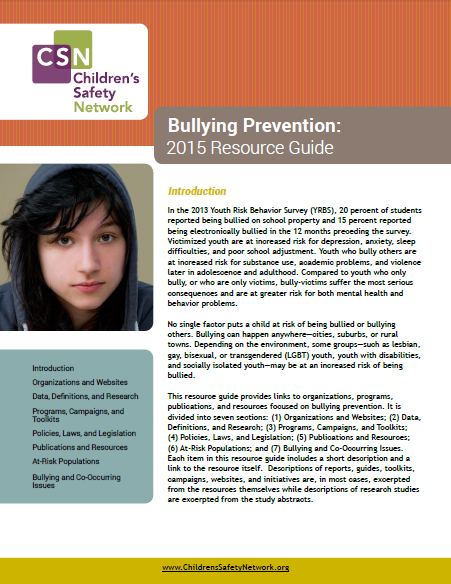 Please contact csninfo@edc.org, with any technical assistance requests.